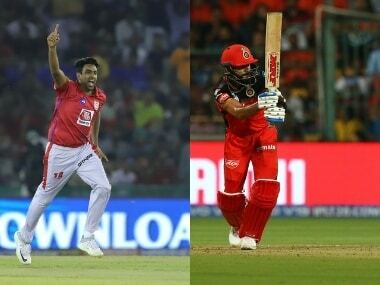 KXIP vs RCB Match 28 of IPL 2019 LIVE UPDATES: RCB beat KXIP by eight wickets! RCB clinch their first win of the season! Stoinis smokes the first ball off Sarfaraz for a four and then takes a double to lead RCB to win. 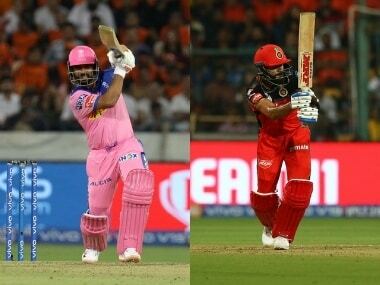 Rajasthan Royals vs Royal Challengers Bangalore Match 14 LIVE Score Updates: Tripathi slams a six over mid-wicket and RR have won the match by seven wickets. Their first win of the season. RCB's fourth consecutive loss. 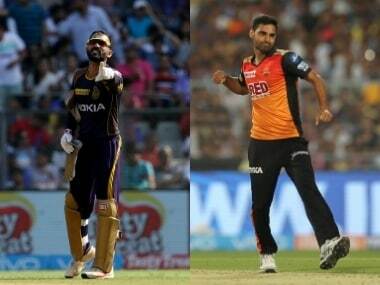 IPL 2019 Live Streaming: Here's everything you need to know about the coverage of the IPL 2019 match between Sunrisers Hyderabad (SRH) and Royal Challengers Bangalore (RCB). 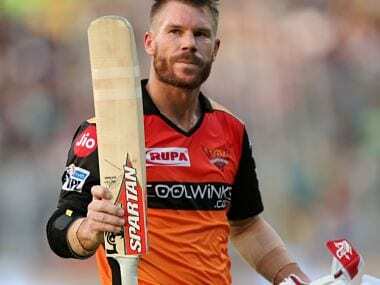 Kolkata Knight Riders vs Sunrisers Hyderabad Match 2 LIVE Score Updates: What a terrific finish to the game from the KKR perspective! 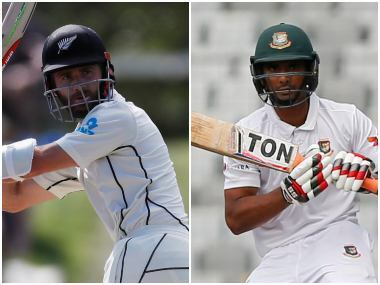 An under-pressure Shakib starts off with a wide. Russell collects a single off the second delivery, bringing young Gill on strike. 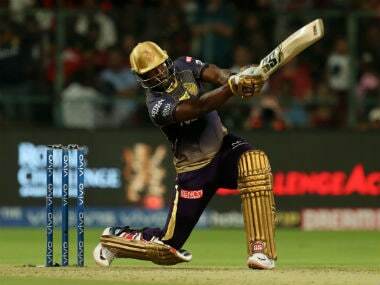 As ferocious as Russell was with the bat so far, it is Gill who finishes the game off in style with a couple of sixes, as the Kolkata Knight Riders script a memorable six wicket win and collect their first points on the board. 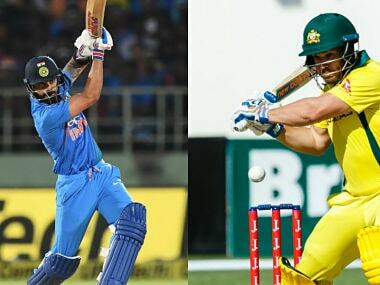 India vs Australia 2019, 5th ODI Latest Match Updates: Australia win 5th ODI by 35 runs, complete turnaround to win series 2-3. What a way to end the series. The Aussies huddle up and celebrate win. Fantastic performance by the team from Down Under. 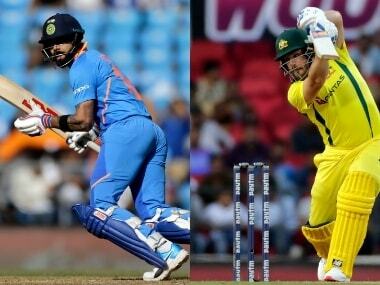 India vs Australia 2019, 4th ODI Latest Match Updates: Four leg byes collected at the start of the over. Singles collected off the next two balls, before Carey chips the ball to Shikhar Dhawan at short midwicket to depart for 21. 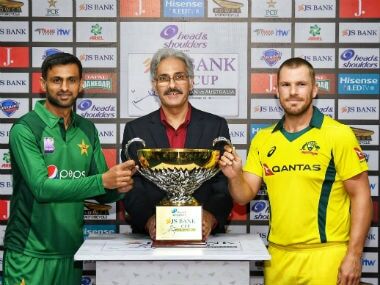 Turner, however, seals a famous Australian victory by guiding the ball down the ground and coming back for a second run, the winning run coming off a poor throw, one that should've been directed at the non-striker's end but was instead sent towards Pant. A moment that summed up the game.